Last December 2015, former pound-for-pound king Roy Jones Jr. suffered a knockout in the hands of former cruiserweight titlist Enzo Maccarinelli. 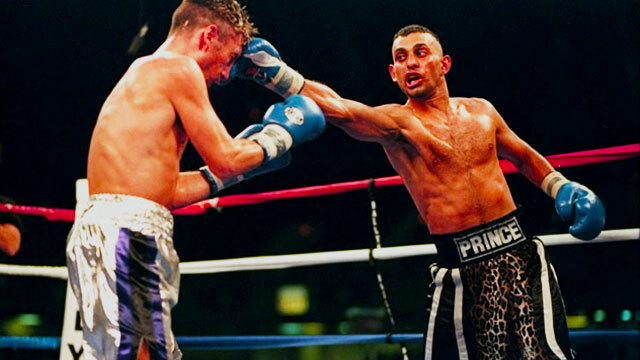 It was an inglorious moment for a boxer who used to regularly put his opponents to sleep. Jones did have one good excuse though: He's 47 years old. Like many boxers, he doesn't know when it's time to hang up the gloves. However, if his latest fight were to be believed, Jones may have been correct in continuing to lace up those once-thunderous mitts of his. He knocked out his opponent, Vyron Phillips, at an event called UR Fight earlier today. The finishing blow, a sweeping right hand that caught Phillips as he charged, happened at the 0:44 mark of the second round. Roy's still got it, it seems. But there were a few caveats. The fight was mostly a gimmick. Promoters offered $100,000 to fans who think they could beat Jones. Eventually, boxing associations stepped in, and prohibited the fight-makers from booking a person with no fighting experience. That guy eventually became Vyron Phillips, a 33-year-old MMA fighter from Minnesota, who has a paltry 6-1 amateur boxing record and a 6-3 MMA record. Nothing really to scare off a Roy Jones Jr. even in his advanced age. In the end, the knockout, the 46th of his career, was a thrilling reminder of the vicious ways by which Jones could send people to the canvas. And if there was one person who was able to put things in perspective, it was Jones. “I wouldn’t challenge Michael Jordan in 1-1 for $100K. That guy (Phillips) has an amazing heart to just try the feat. He went out and challenged the best. That’s a lot of heart."